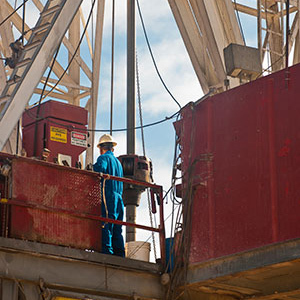 Employers can reduce injuries during drilling preparation by training workers to recognize hazards and practice appropriate safety procedures. During the rigging up process, work crews set up the equipment needed for oil and gas well drilling. According to the Occupational Safety and Health Administration (OSHA), rigging up can be dangerous. Promote safe rigging practices by training workers to recognize hazards, engage in safe practices, and use proper PPE like eye protection, hard hats, work gloves, and foot protection.